"Investment planning is like playing golf, the more you keep the ball in the fairway the better your chances of meeting your goals"
2002 - 2009: Old World Concepts LLC, C.O.O. As a Financial Advisor with Rubicon Advisors, I perform much like a professional caddie assists the golfer who employs him. As with any good caddie, I strive to keep my clients in the fairway. As in the world of golf, investments are affected by changing environments and conditions. Much like a professional caddie assists the golfer, I assist clients by evaluating how the existing conditions might affect their goals and propose actions based on their risk tolerance. My goal is to provide a level of service to my clients in a manner that provides confidence in the analytical process as well as the ongoing management of their goals. While targeting goals for retirement or other impactful financial events, my emphasis is on maintaining the lowest possible risk factor to pursue those set goals. My wife Debbie and I reside in Granite Bay, California. 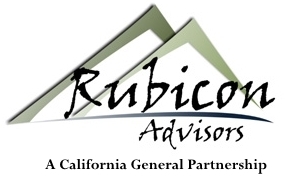 Prior to my joining Rubicon Advisors I spent over 5 years with Wells Fargo Advisors, a national brokerage. I attended Miami University’s (Ohio) Farmer School of Business and spent my youth in West Orange, New Jersey. 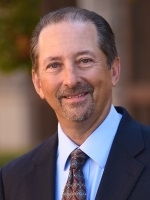 My career led me to over 15 years in Executive Management as well as C.O.O. of my own manufacturing, retail and product development companies. My wife and I have, traveled the world from Europe to Asia, gaining a worldly perspective on business and the financial world it thrives in. Personally I enjoy music, competitive sports both as a participant and as a viewer. My recreational passion today and since the age of 12 has been golf.